Here is our list of ten tips that you should look at before getting Wall Insulation. Find out what wall types you have as this will affect the type of insulation that you can have fitted. Solid walls will require external or internal insulation. Cavity walls can be injected with insulation. 2. Is Insulation Already Present? With Solid Wall insulation it is likely to have been installed internally or externally. If it is external it will be fitted on the walls and will stop short of the bottom of the wall so as to not cover the damp proof course. Internal insulation will involve the wall being battened and with insulation laid between the battens before being covered in plasterboard. If you suspect you have insulation tap on the walls gently and you should hear a hollow sound. Always make sure to get a professional opinion before undertaking any insulation. 3. Is the Cavity Gap Clear? 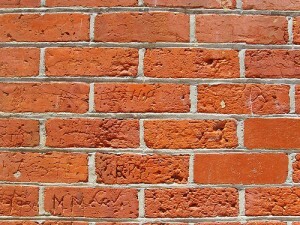 Sometimes in properties with cavity walls the cavity gap, which is the gap between the inner and outer skins of brick. This gap should be clear and free of debris, however, if it isn’t then installing insulation might cause the cavity gap to be bridged. 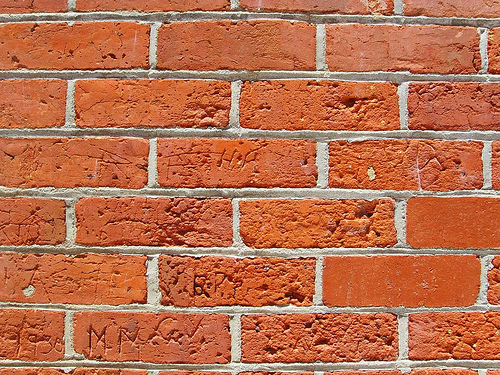 If the cavity gap is bridged then water from the outer skin of brick can travel across to the internal layers of brick, creating damp issues. 4. Are there existing Damp Issues? If the property suffers from damp and condensation issues then you should consider identifying the cause of the damp issues first. This might indicate a simple cause or be the symptoms of a problem with the wall, particularly in cavity walls. It may indicate that the cavity has been bridged. Installing insulation into walls with damp might alleviate the problem, but might also make it much worse. Seek to identify the causes of the damp issues first. Where possible seek professional advice. A very simple thing to forget but installing wall insulation on your property will require access to all the external walls and access to your property by vehicles and equipment. If access to the walls is required through a neighbour’s property you should seek their permission. If the wall is in a poor condition, mortar crumbling, gaps in the brick work, then it might not be possible to install insulation. A professional insulation survey will let you know if this is an issue. If the property is in an exposed location, for example on top of a cliff or hill, where the external walls are subject to bombardment from rain and high winds then wall insulation might not be the right solution for you, particularly with cavity wall insulation. Insulation might actually create a bridge in the cavity gap and create damp issues. If the guttering or roof is leaking onto the brick work, or inside the brick work, then you might need to address that problem first before seeking to add wall insulation. There are many companies that are registered as installers for home insulation. It is always best to contact your local authority and see who is on their recommended list. These will be approved companies who are likely to meet good standards of workmanship. The local authority should also be able to tell you what grants and schemes that may be available. When you have found a number of installers invite at least two or three around to give you a survey for your insulation requirements. They should be able to confirm whether your property is suitable for insulation and what the costs of installing would be. They should also be able to advise you whether you qualify for any grants or subsidies. It is important to find a company that you feel you can trust and work with. Do not be pressured into signing up there and then. Wall insulation can say you a lot of money, but it isn’t suitable for every property. Be sure to get professional advice and if you are in any doubt then don’t proceed with it. Yes. Professional advice is always a good idea… but from at least a few different companies to make sure they are not ripping you off or asking you to buy more than you need. Good advice. Solid tips here. Definitely follow the “reputable installer” tip. It doesn’t matter how good your insulation is — if your installer isn’t installing it correctly, you’re not going to see the benefit. Thanks for the post. Nice little check list there! Home insulation uptake is growing, but theres still so much that people don’t know about it, which is a shame. I’m searching the web regarding home insulations and I’m happy I found your very informative blog. Thanks for sharing! For comfortable living in any home, proper insulation is required. It is not only important to install insulation in the ceiling or roof, but wall insulation installation is also a necessity. Nice post about home insulation. Thanks. Here are some important things to be taken into account when having cavity wall insulation installed, otherwise it could result in the insulation needing to be removed/extracted. Are there gutter problems or finlock gutters? Property exposed to wind driven rain? Condition of the render and brickwork; all fuel appliances inc. fossil fuel, gas, oil and type of flue. Open flue fossil flues and oil over fifth required vent – open flue gas fuels over 7kw requires a vent. All flueless appliances and backboilers require a vent, but balance flues generally do not. This is only a rough guide. Make sure there is good access around the property for ladder, also getting over conservatories / sheds could these pose a problem? Gables however can be drilled and filled from inside the loft if necessary. Check sash windows are boxed in. Check every elevation for rubble and debris in the cavity and that it’s not already profiled. Check air bricks to see if they are sleeved and how many need to be repaired. If a barrier needs to be fitted because your neighbour has not had their insulation done, ie semi or mid terraced houses. Unfortunately, surveyors are mostly salesmen and are commission based, they will probably complete a survey in just 10 minutes. Installation ; the installers should be checking everything the surveyor has previously checked. Change and sleeve subfloor vents for wooden floors, the same with room vents, especially kitchen and bathroom vents, as these are the rooms which produce a lot of moisture. Check the appliances for ventilation requirements, most fires and boilers have a plaque on them with the fire/boiler ratings. This also applies to appliances on an inside or a outside wall, as when you have cavity wall insulation installed, the air flow will change around your property. An appliance on an outside wall will require a smoke check, or flue test – before and after installation so not to fill up the flues. Barriers to be fitted if needed (by drilling a hole at the top and a hole at the bottom) dropping a long chain to hook out of the bottom hole to allow a large brush to follow, staying in the walls so the insulation doesn’t fall into the next door neighbours property! Stopping the insulation machine too early – causing voids, not having the machine set up right – blowing material in too fast. A box test or flow rate check (depending on the material used) must be carried out before every job, recording the time and weight. Not changing the subfloor vents for wooden floors – they may put a brush over them or blow air brought them, this is not acceptable. Not fitting a cavity brush. Incorrect drilling pattern. Not smoke checking appliances before and after (outside wall appliances) THIS IS PARAMOUNT. Check inside your loft for any overspill, check they have stapled a flue test certificate in the loft. Nobody should be installing the insulation below where someone is above them drilling holes, as drilling will cause shards of brick/debris to fall on the insulation in the cavity – causing it to bridge and cause you problems. I am glad to found your post. It was nice and veri informative. My home needs a lot of work, I would start off by insulating the attic, walls, empty space under the house, all the hot water pipes,and windows. Your Blog helps me alott. Thanks for sharing. Great Post and very informative too. Thses tips are very usefull for us. Thanks for sharing.